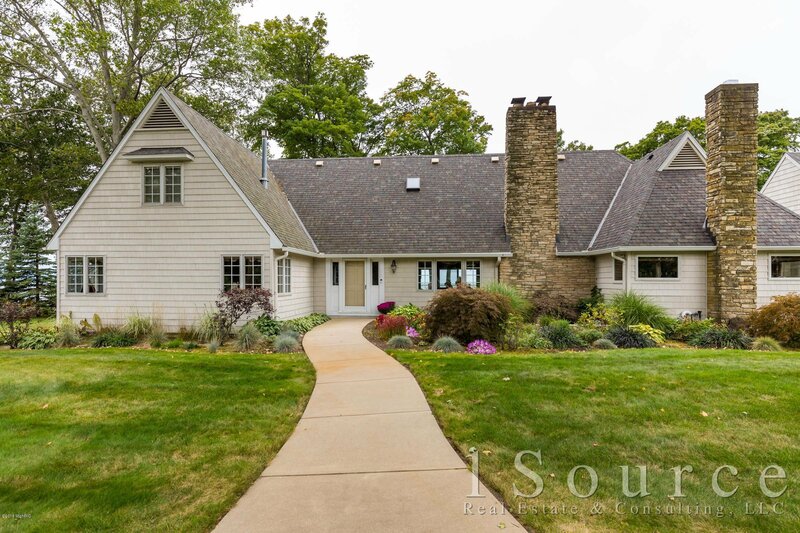 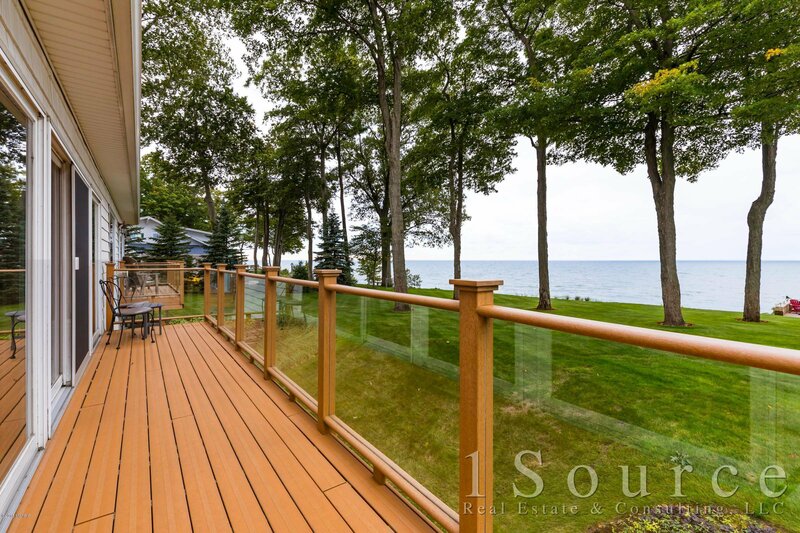 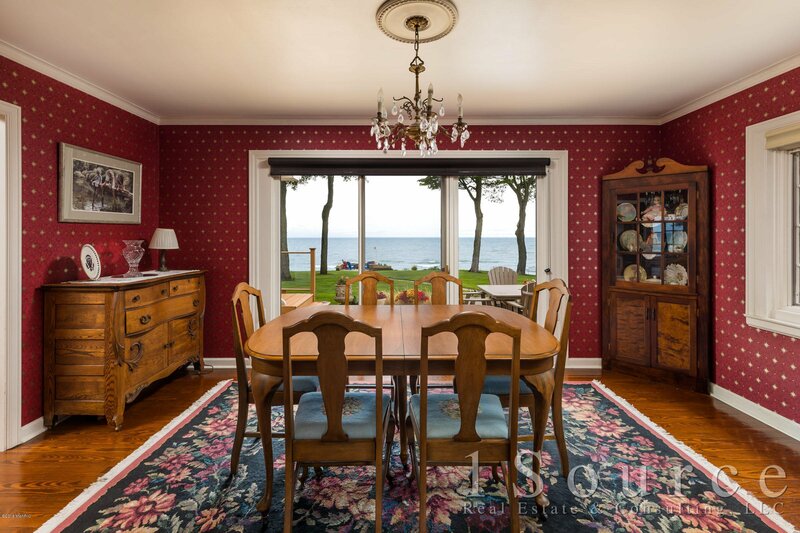 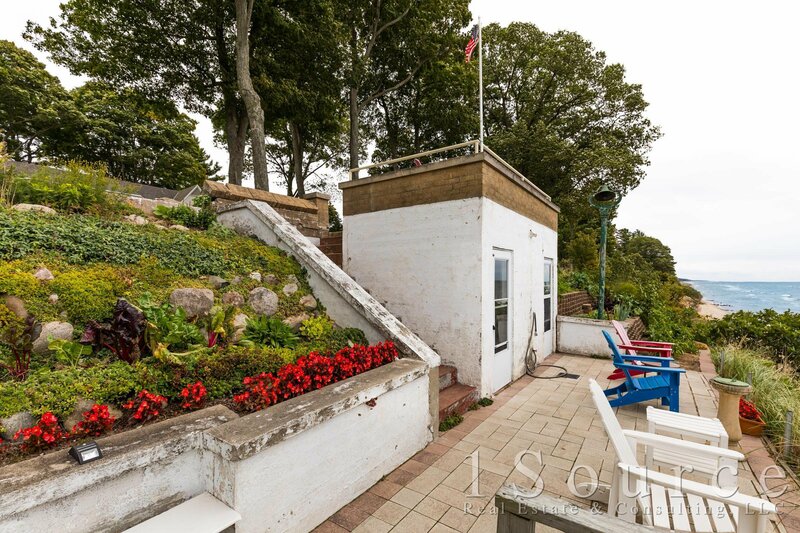 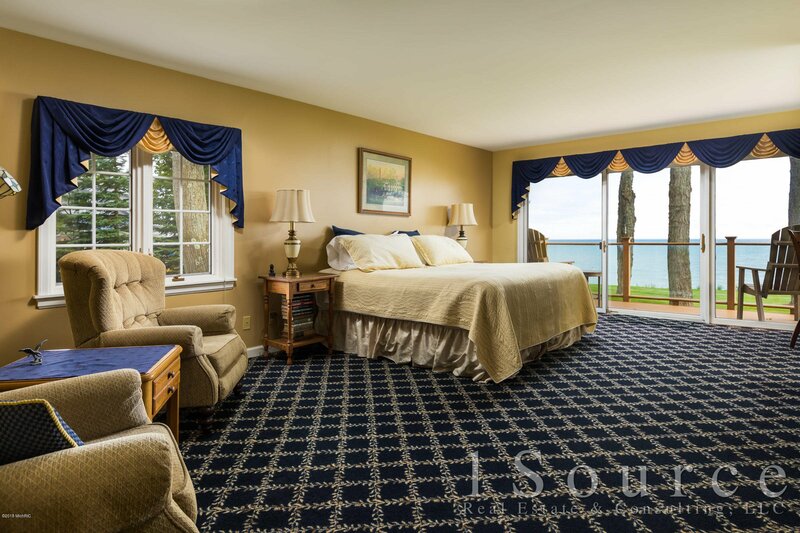 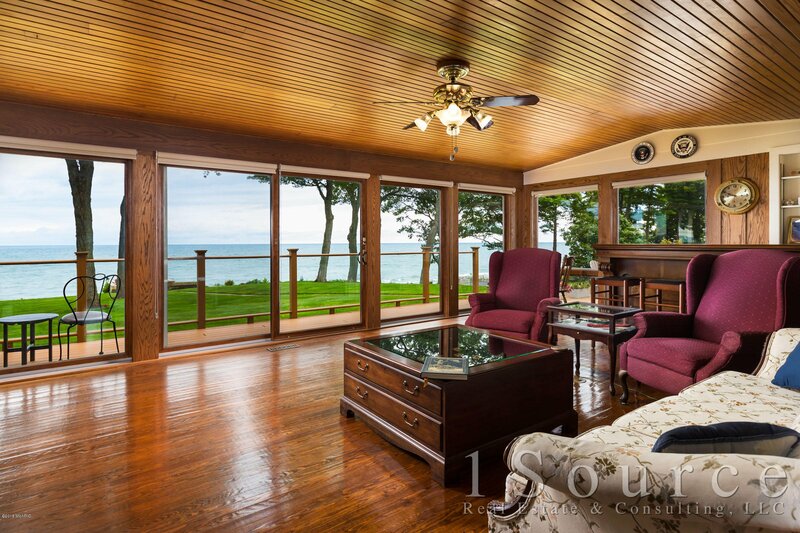 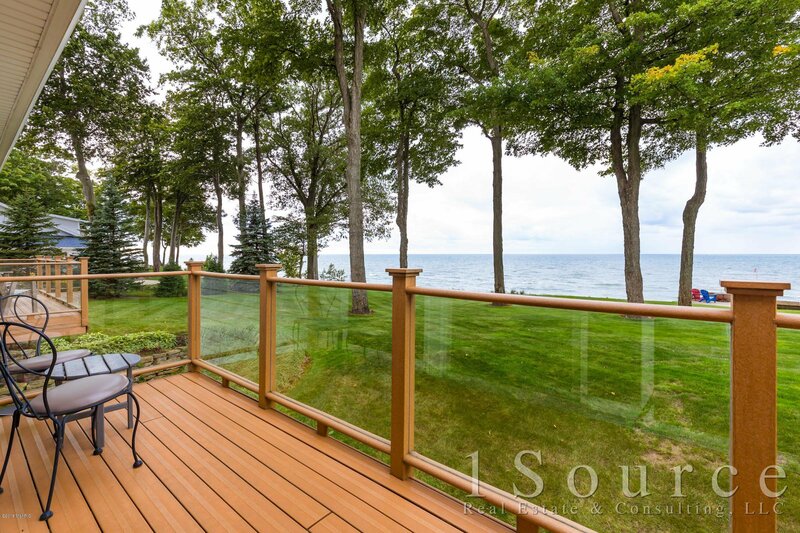 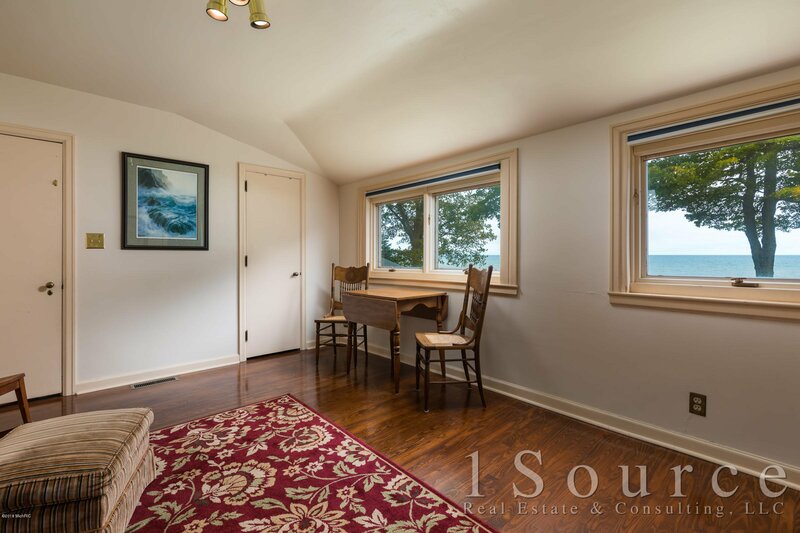 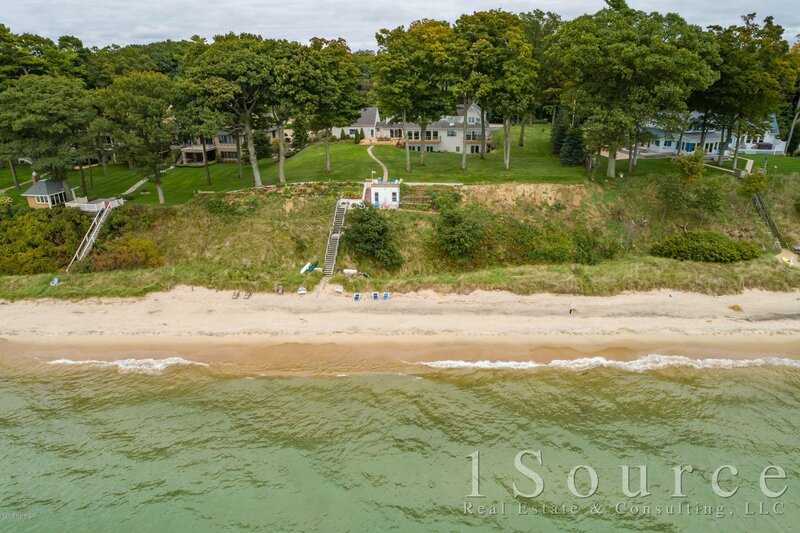 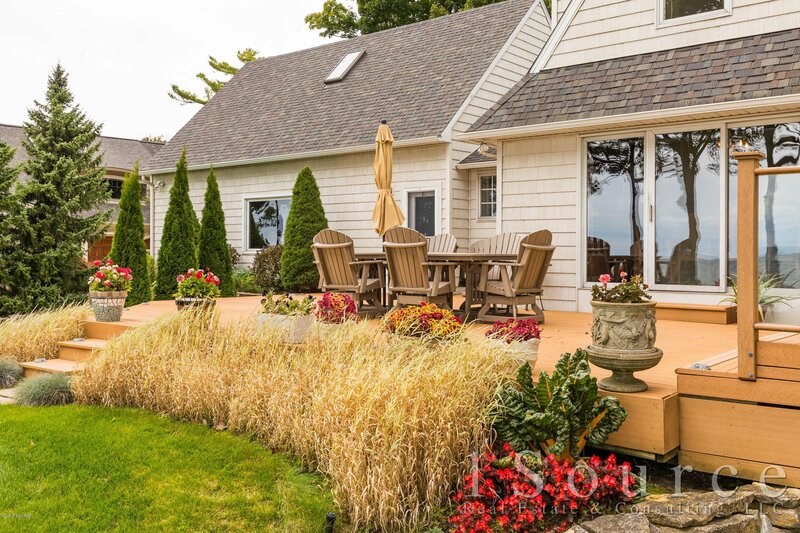 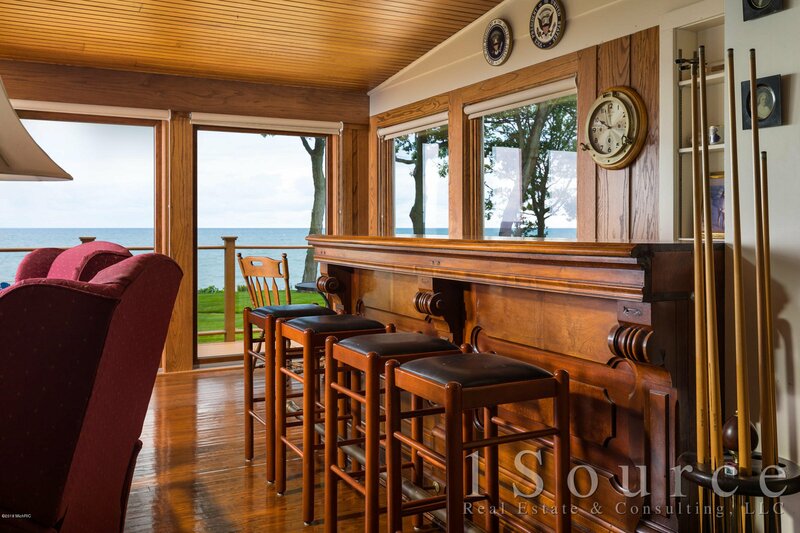 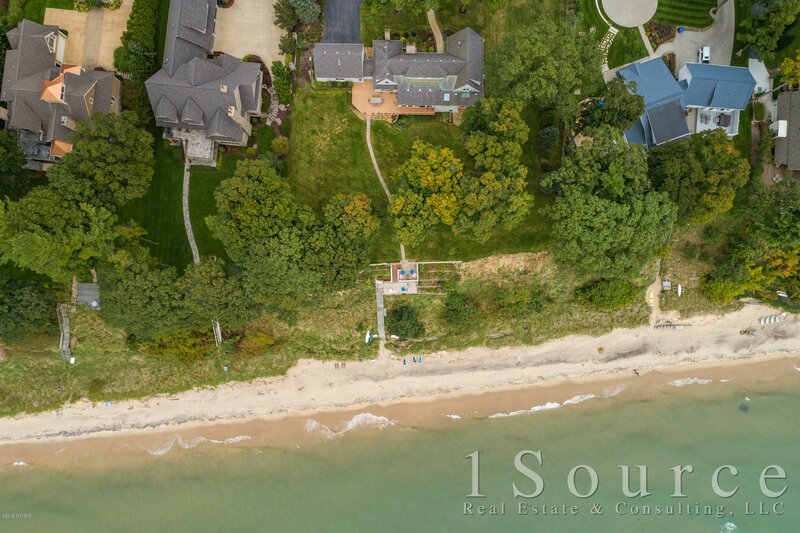 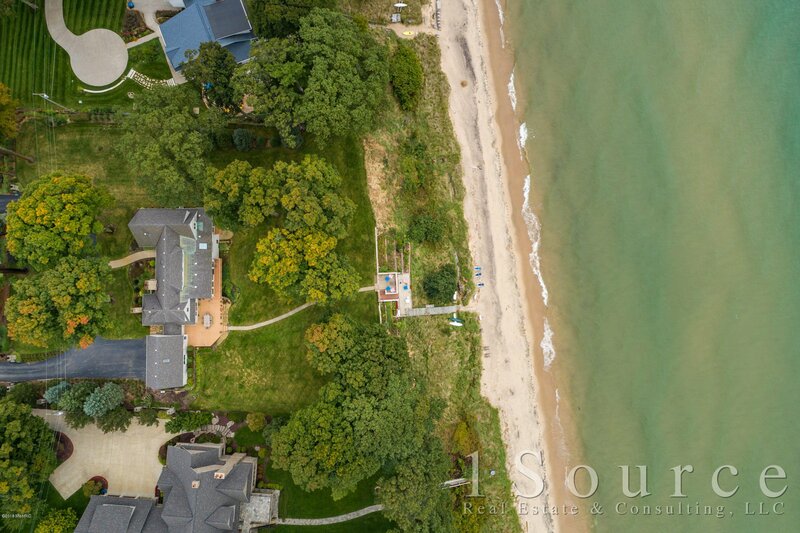 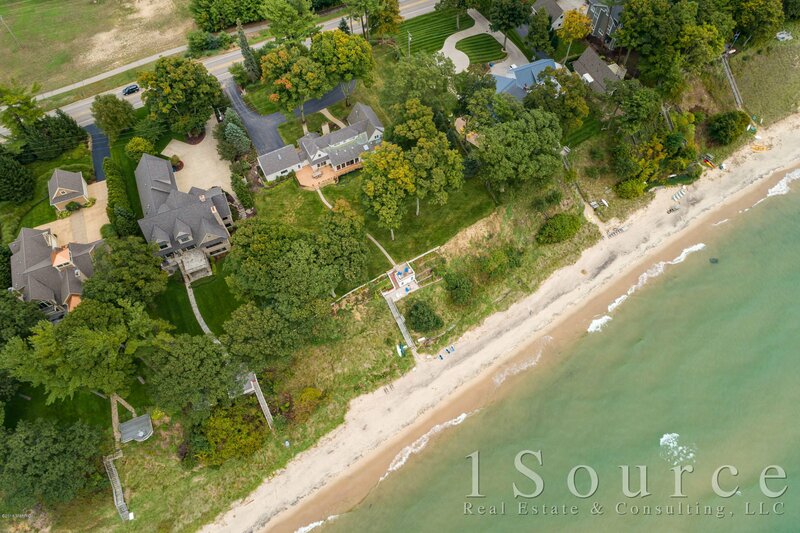 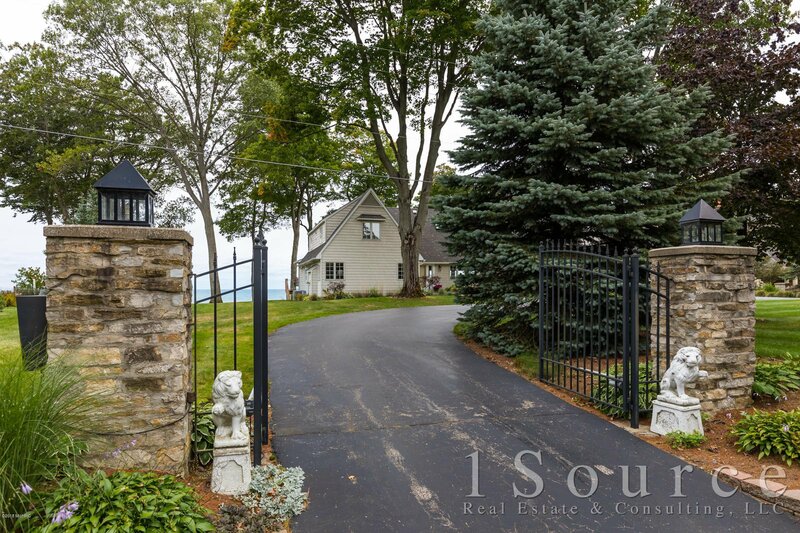 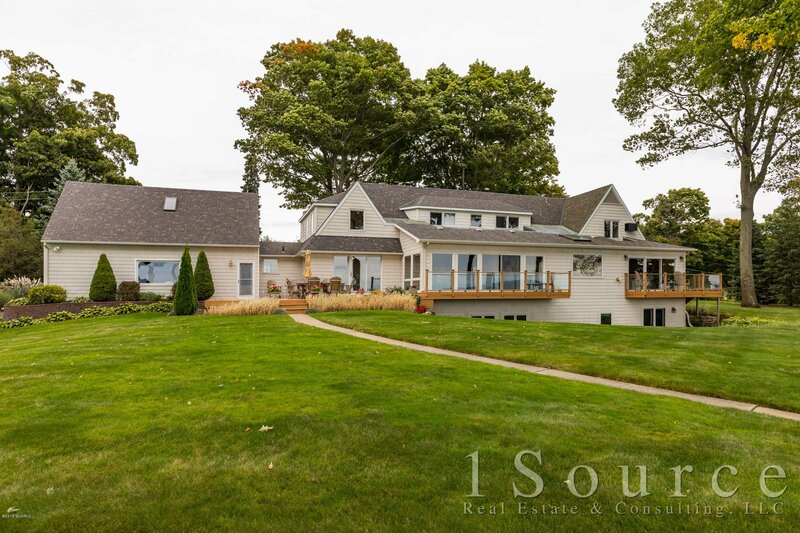 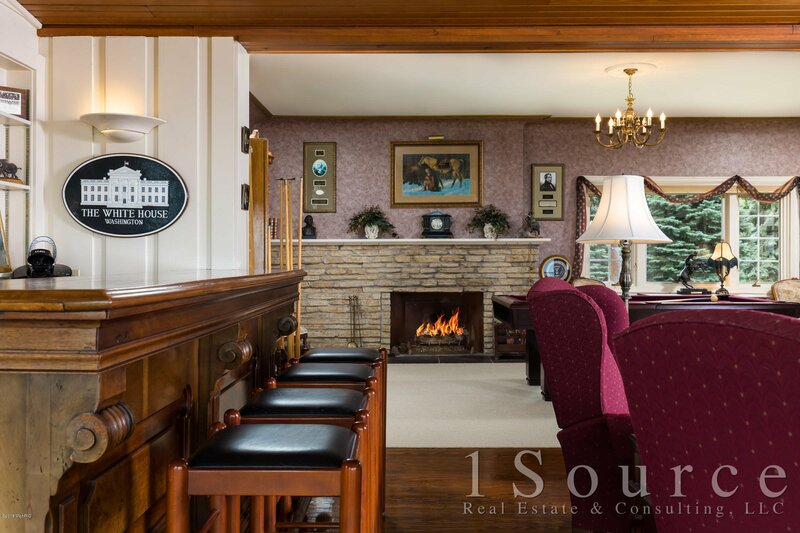 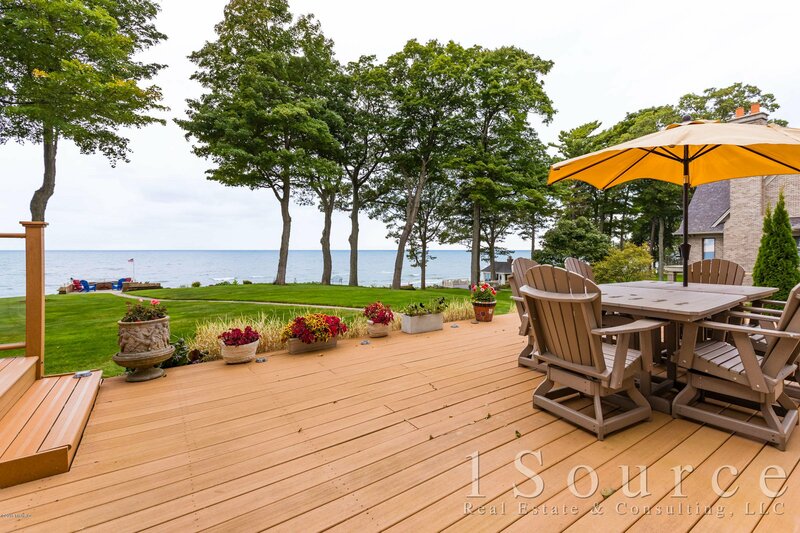 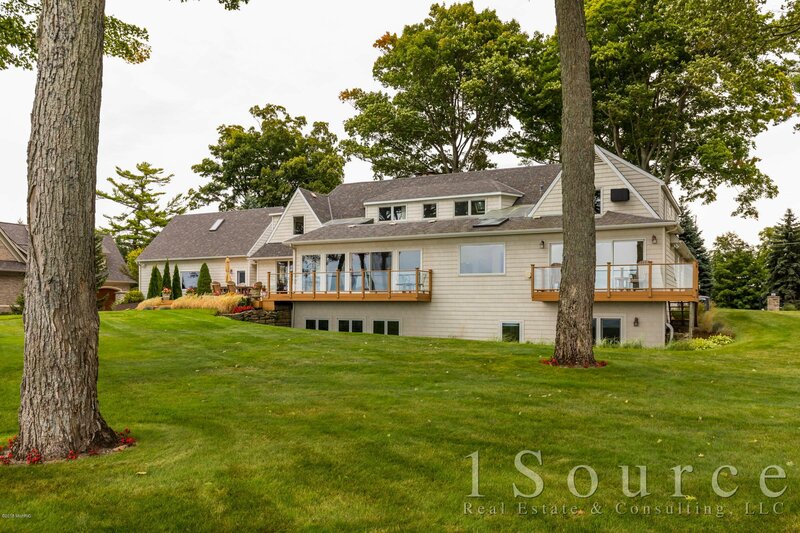 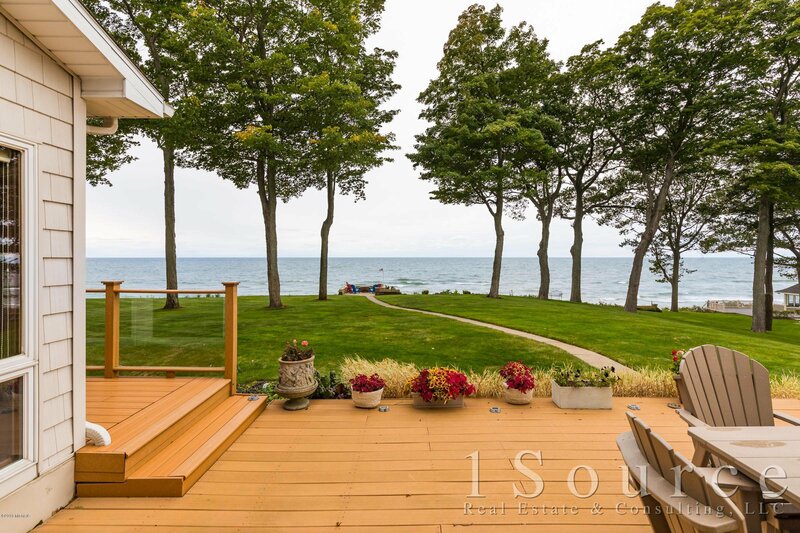 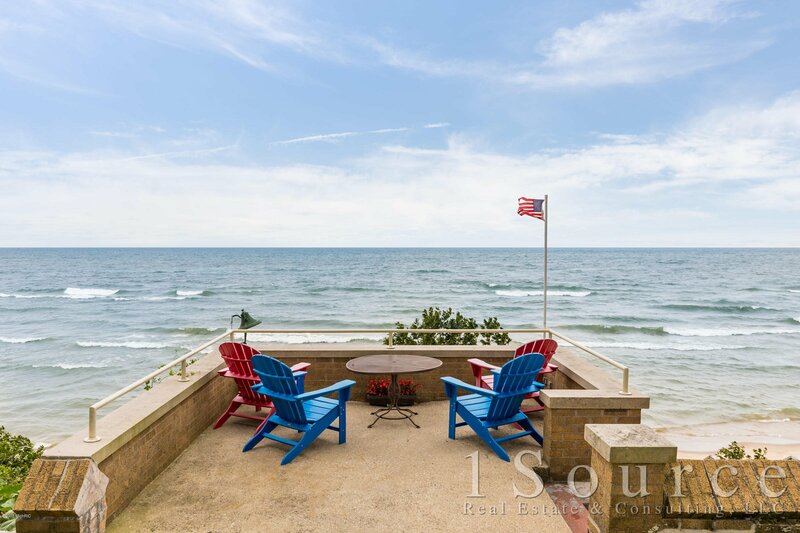 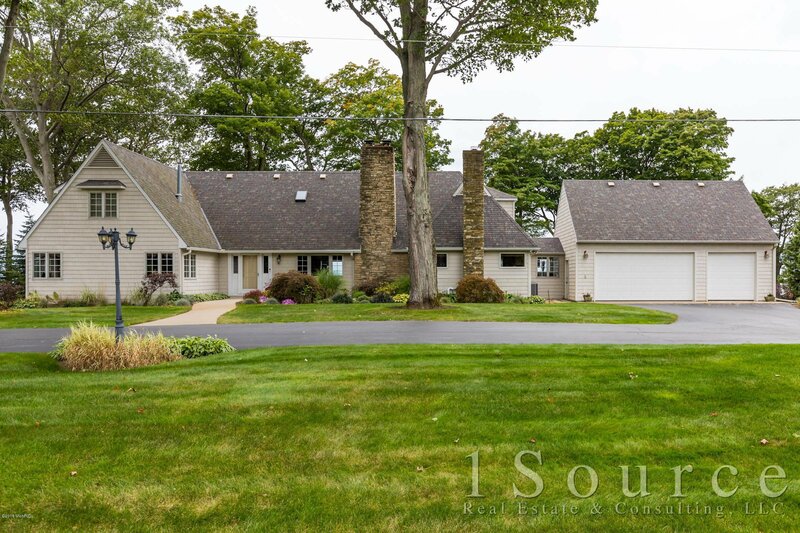 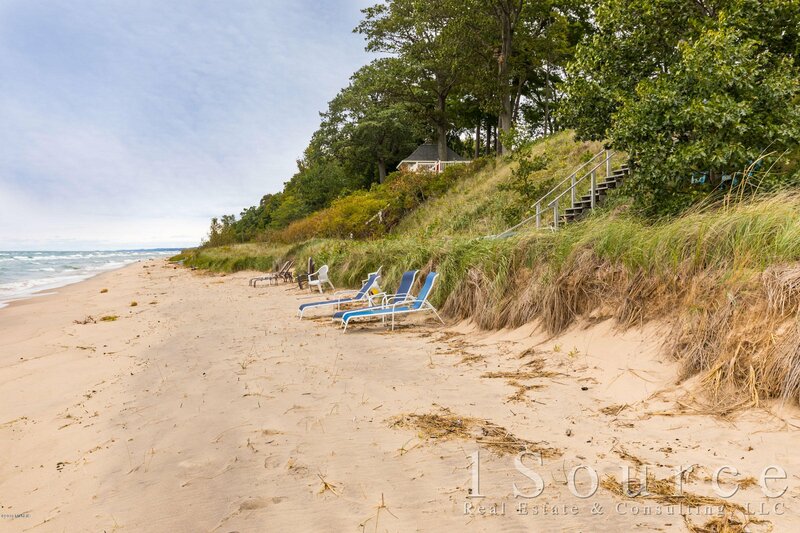 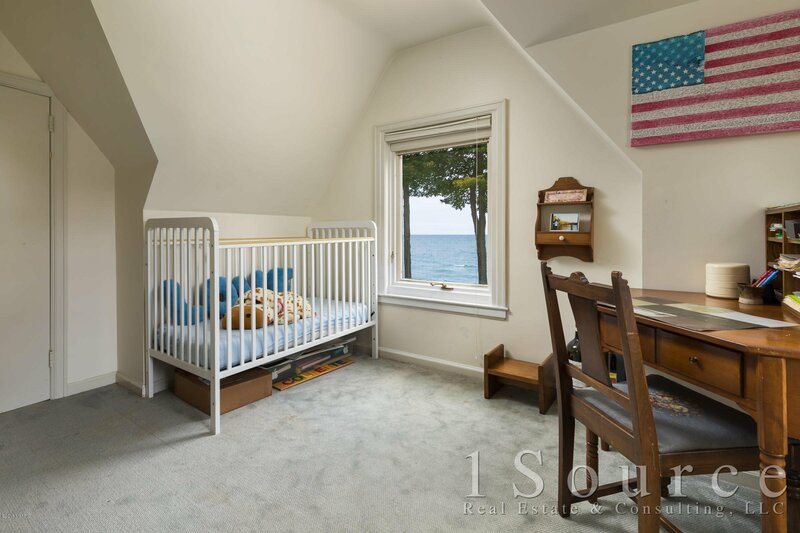 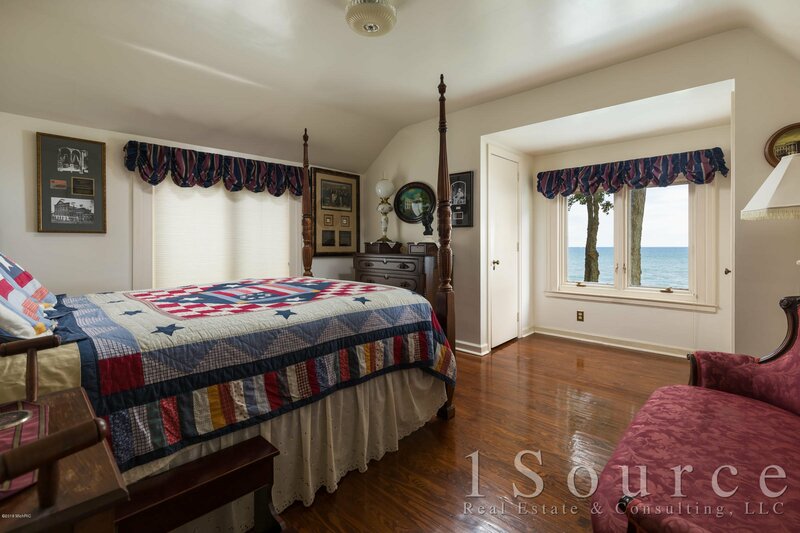 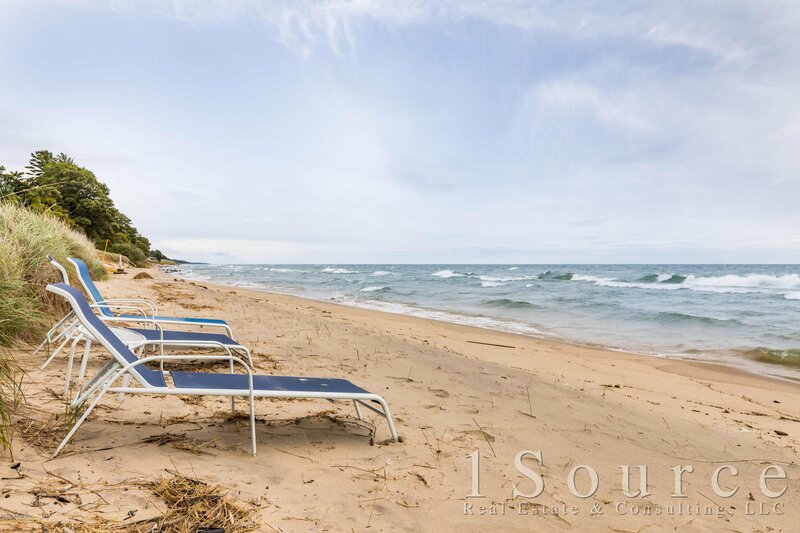 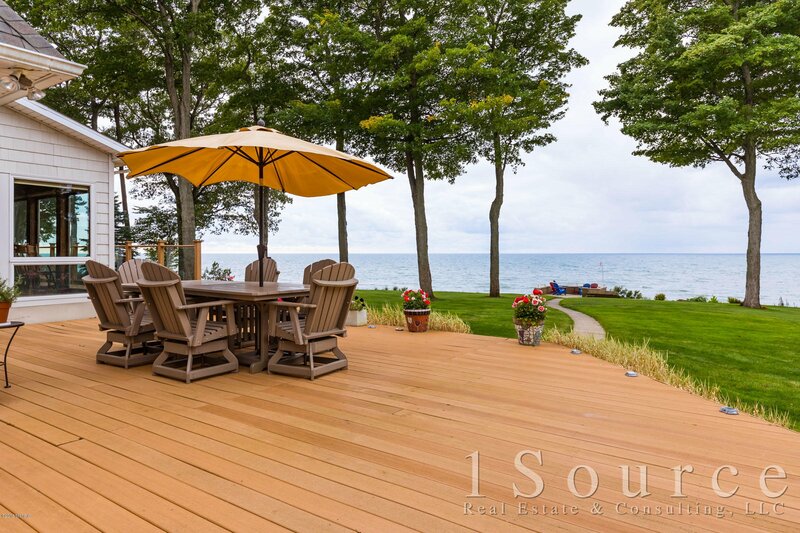 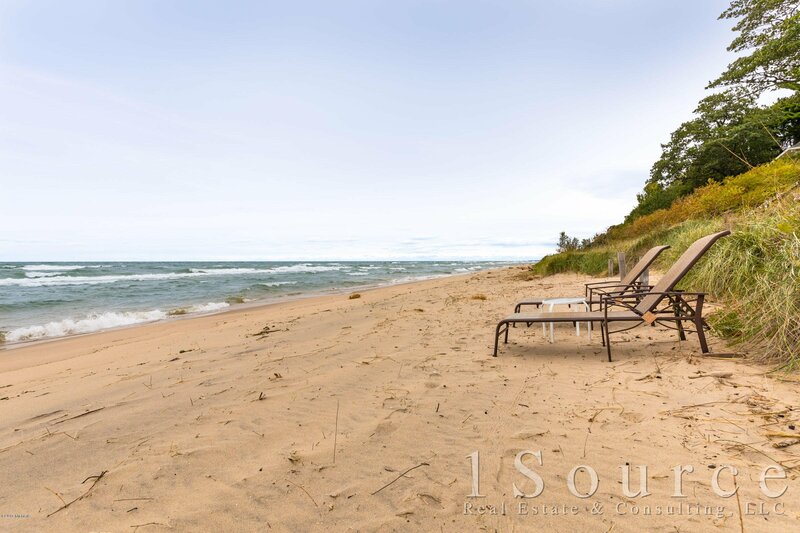 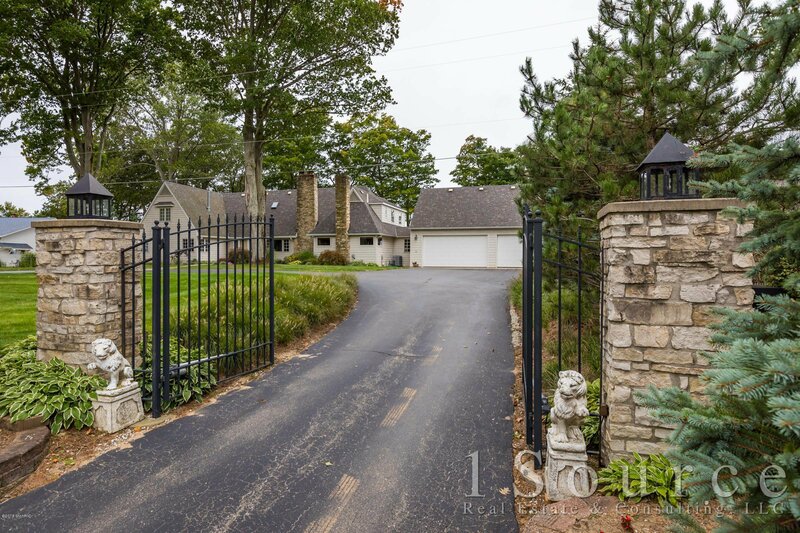 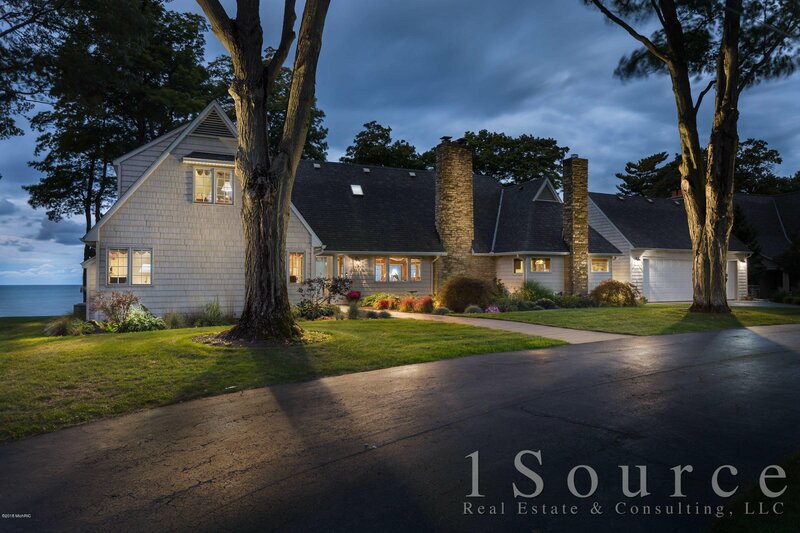 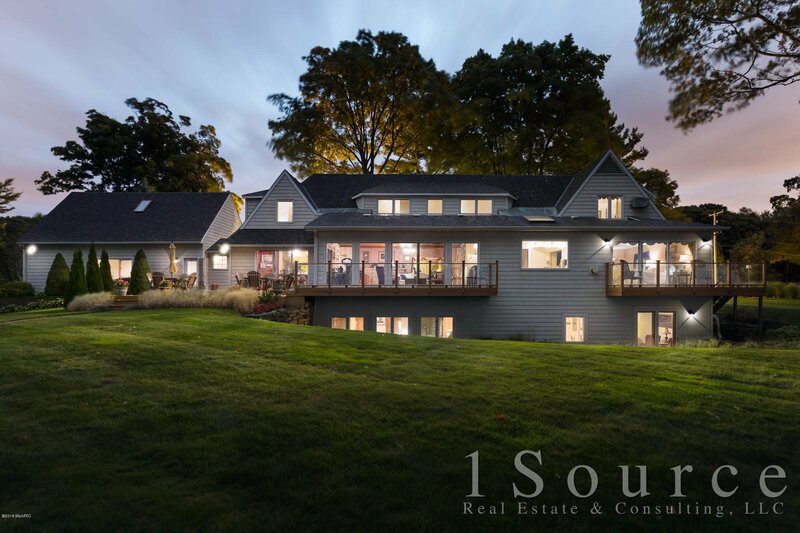 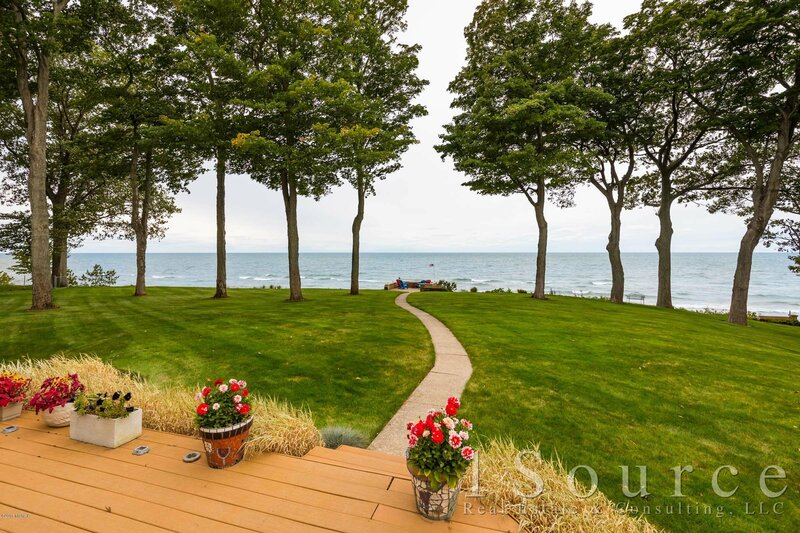 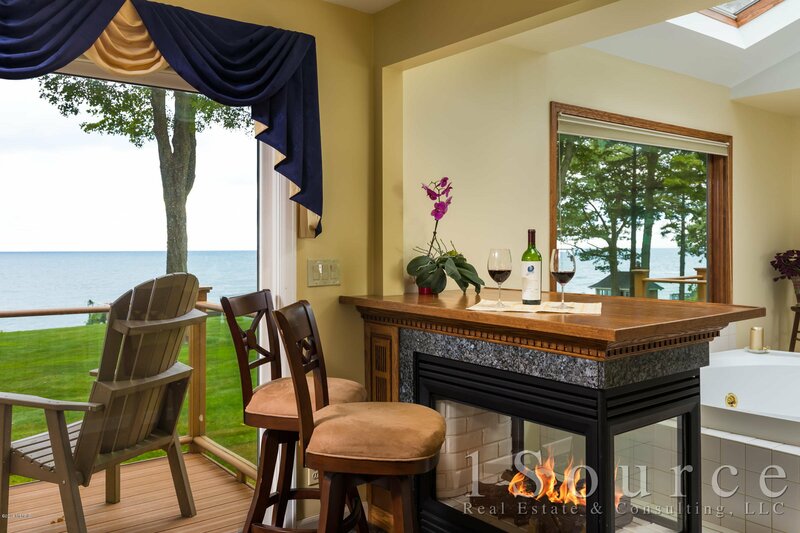 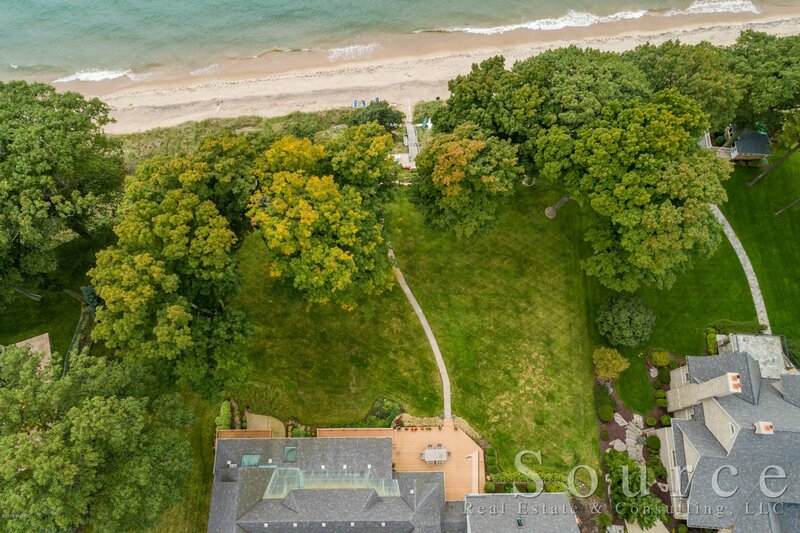 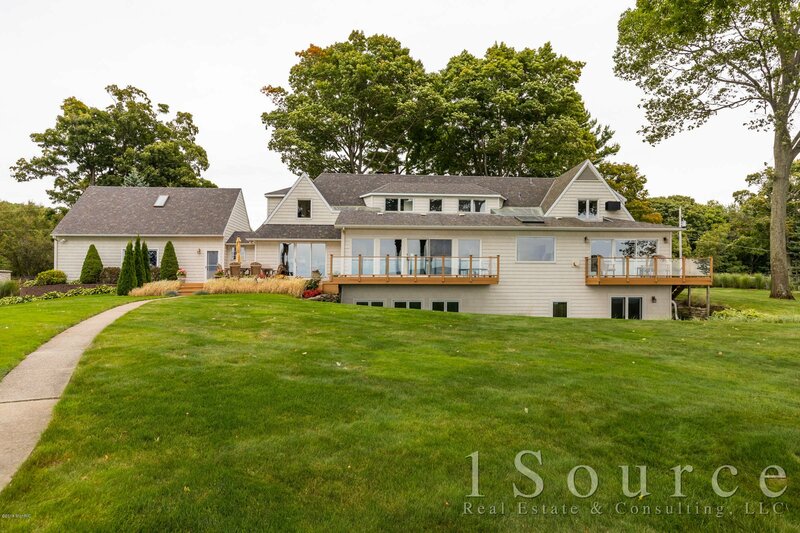 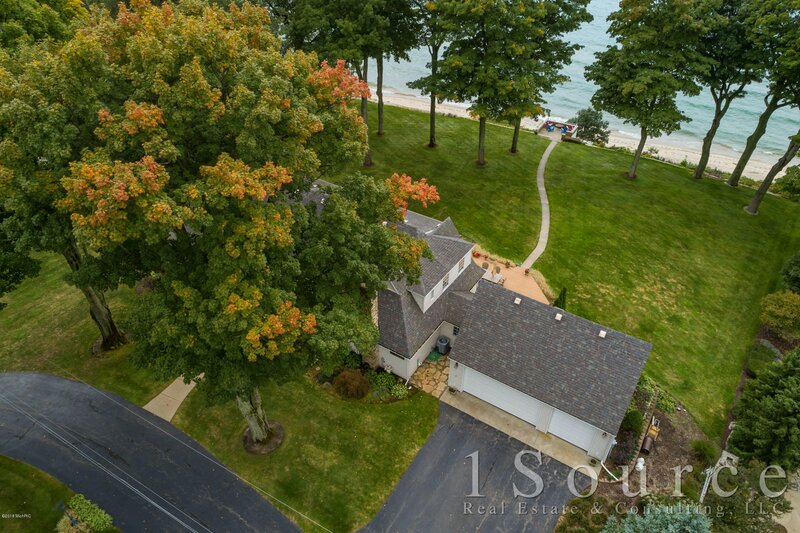 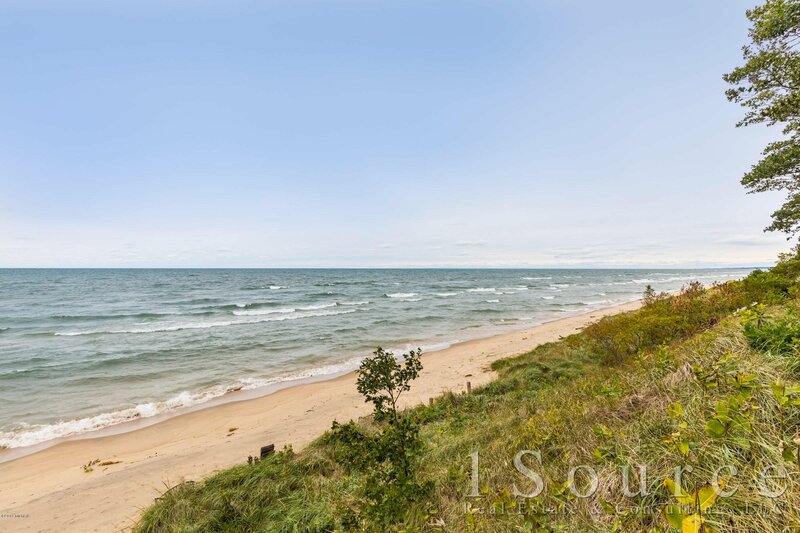 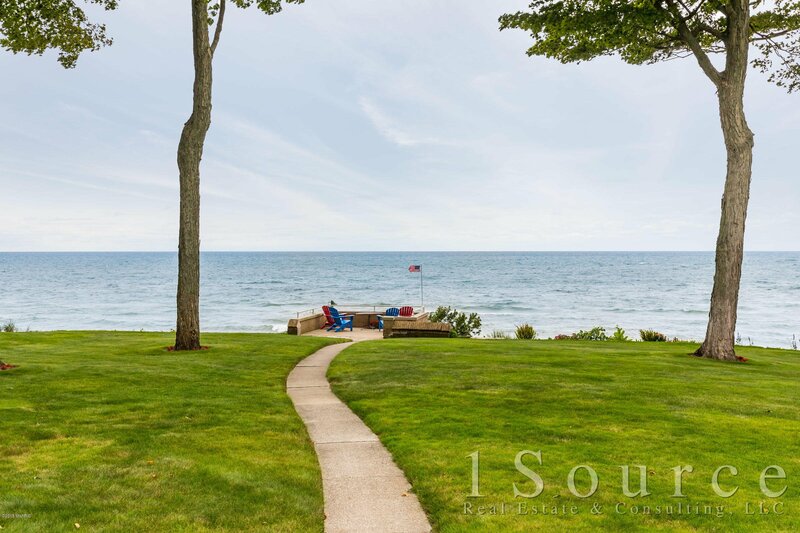 SPECTACULAR ESTATE with 180+ Feet of Lake Michigan Beach frontage. 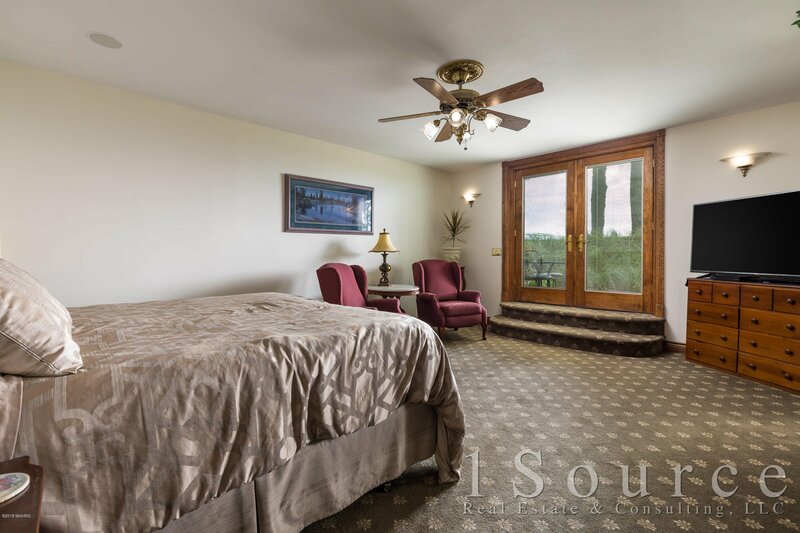 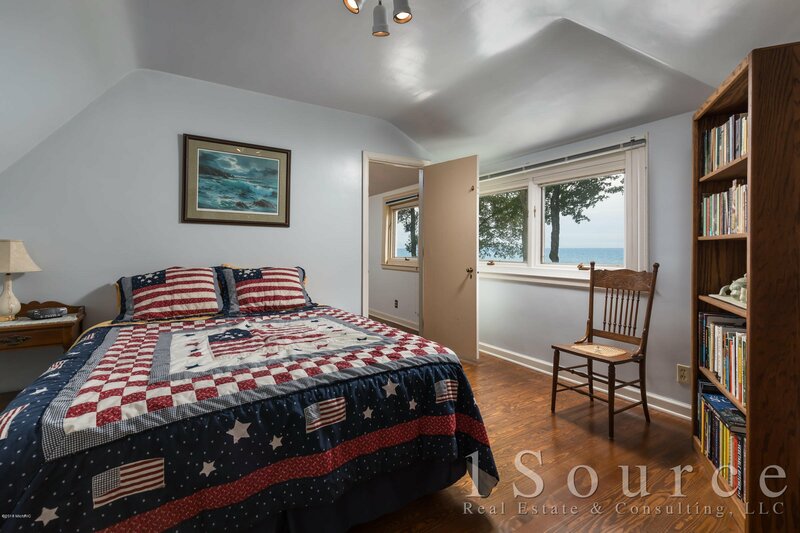 Great opportunity for SHARED OWNERSHIP with two master suites, this home allows for two families to enjoy the privacy & views and share the cost. 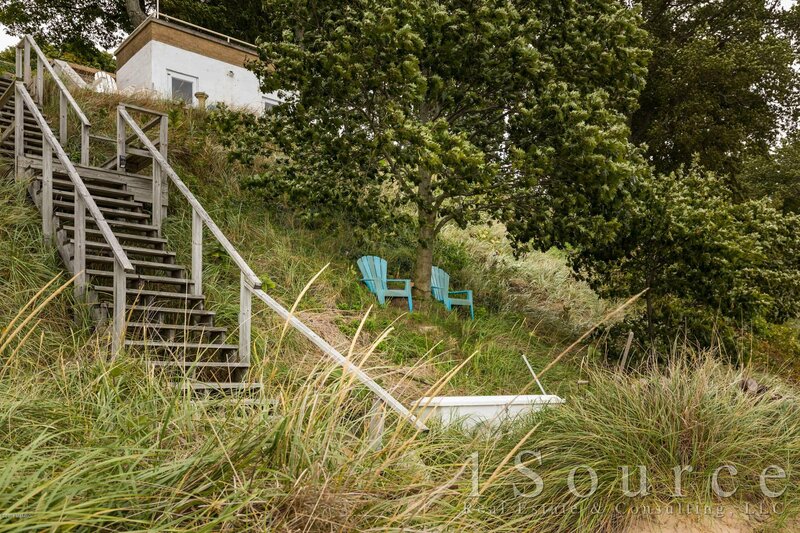 Enjoy the Low Dune, just 47 steps, a Beach Cabana & patio area, with shower, water heater & fully functioning bathroom on the dune side! 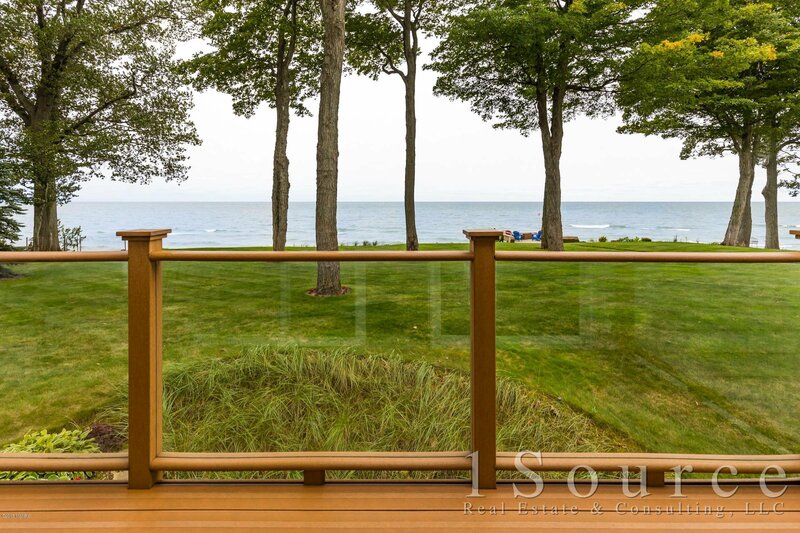 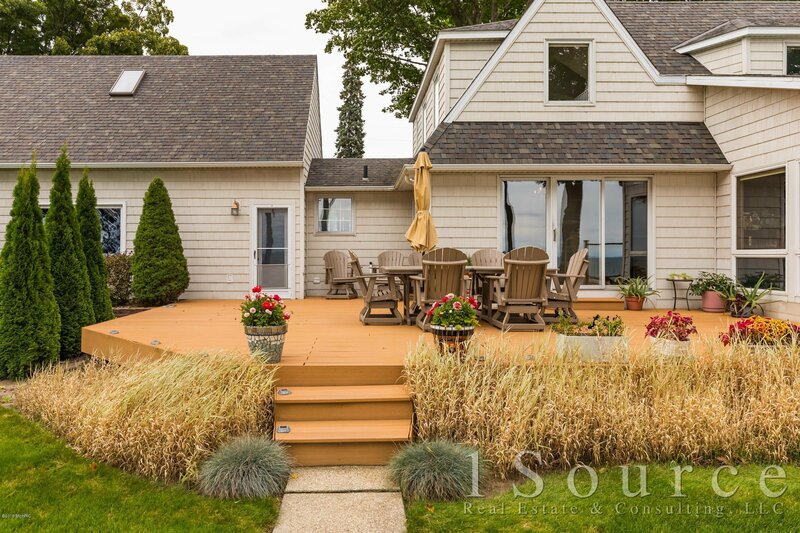 Luxurious landscaped lawn overlooking the lake, views from every room in the house. 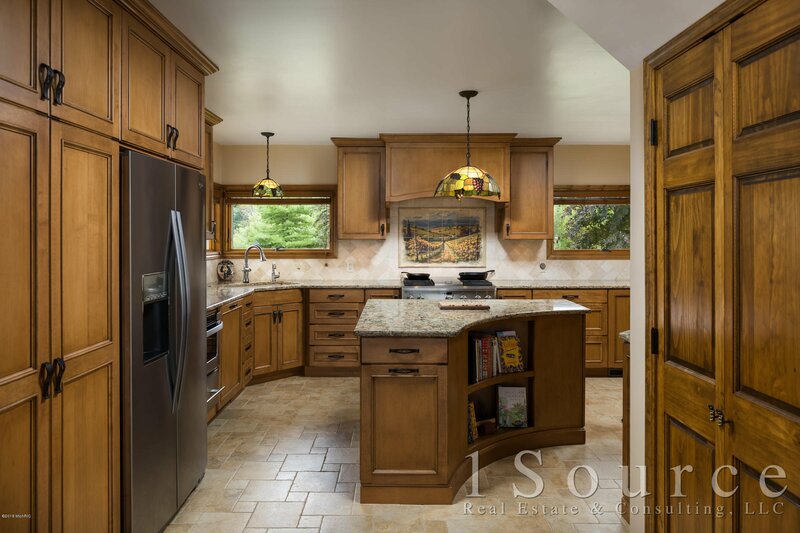 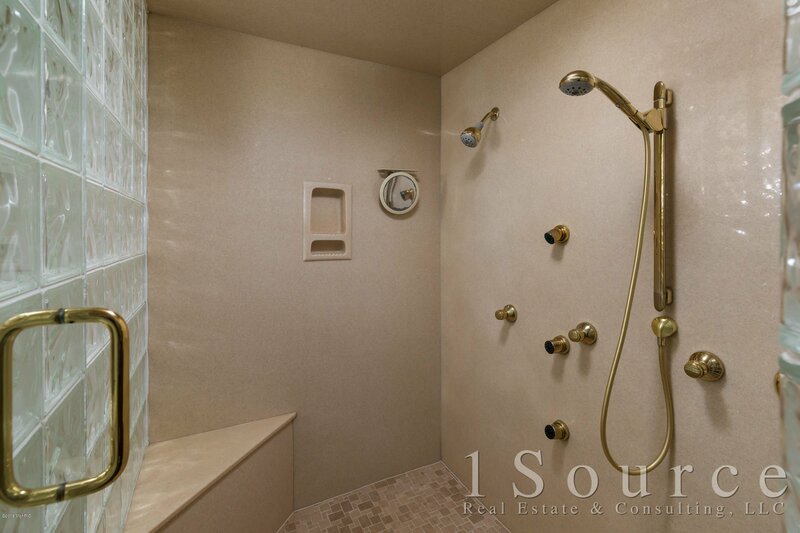 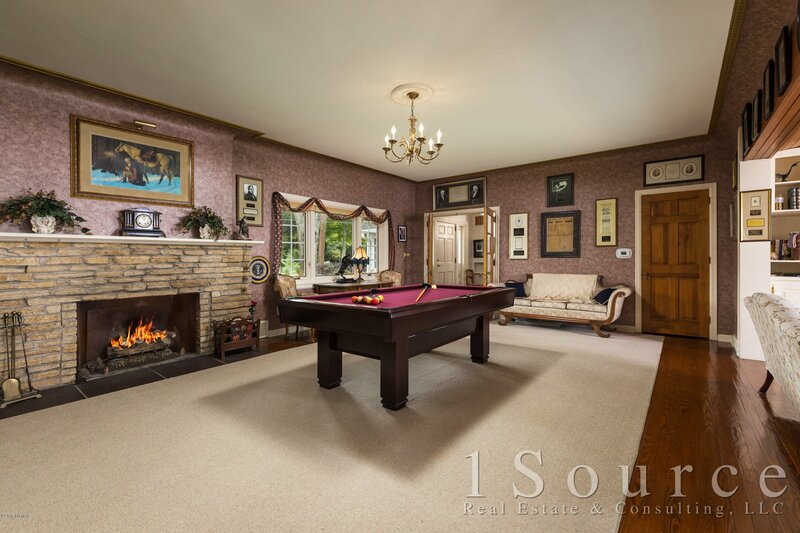 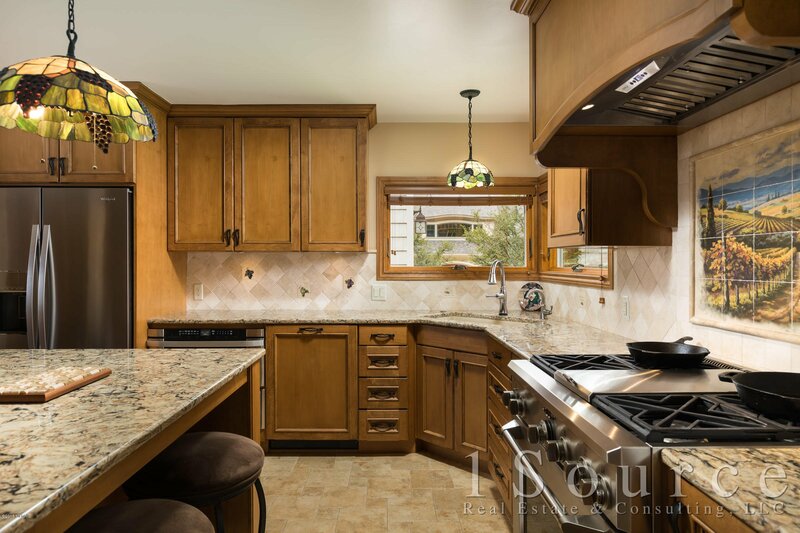 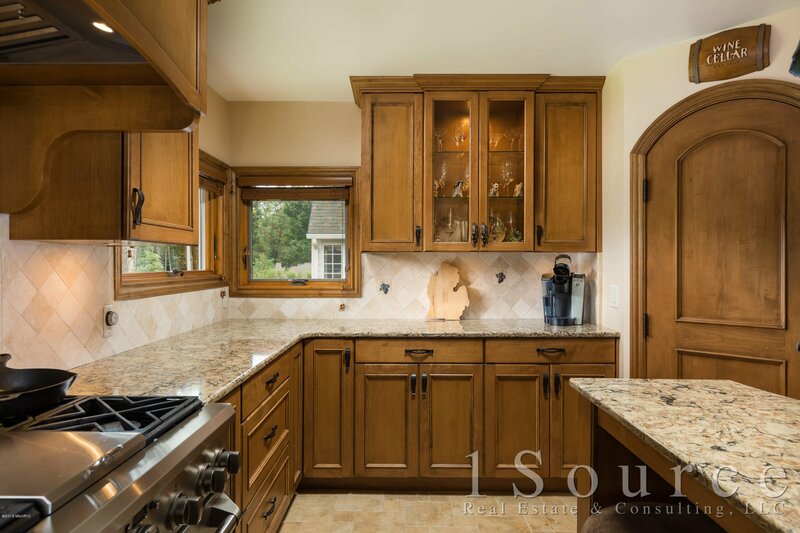 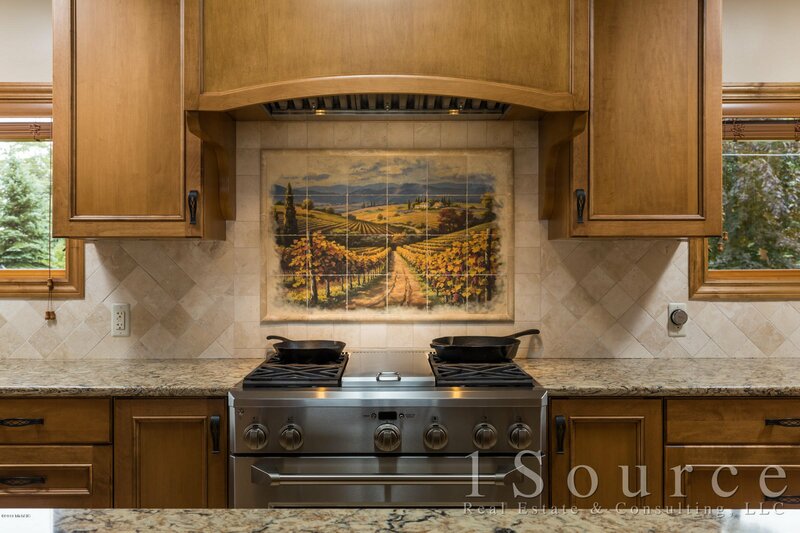 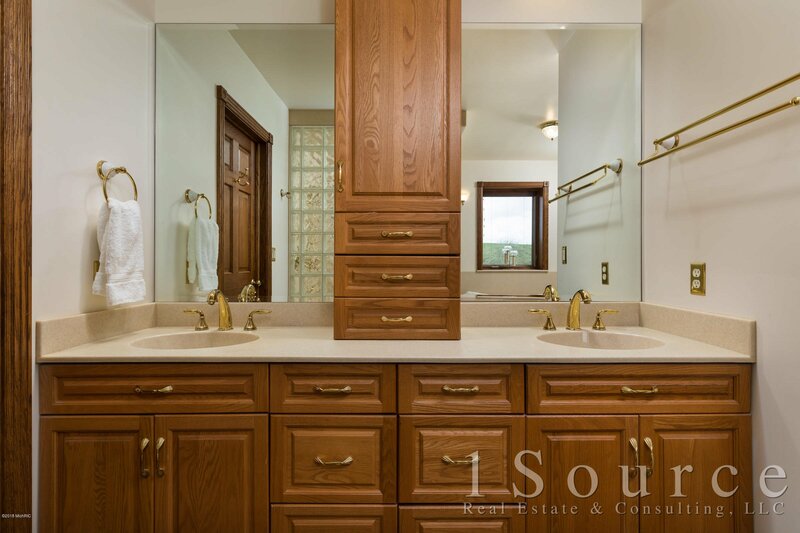 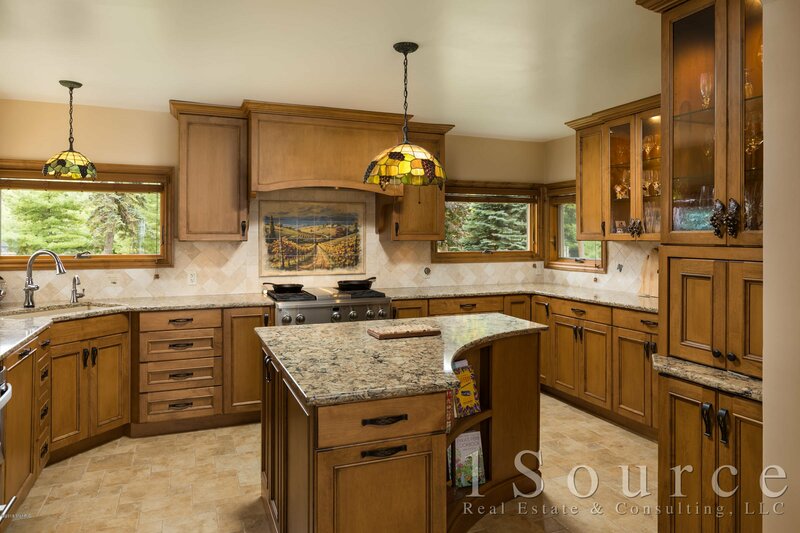 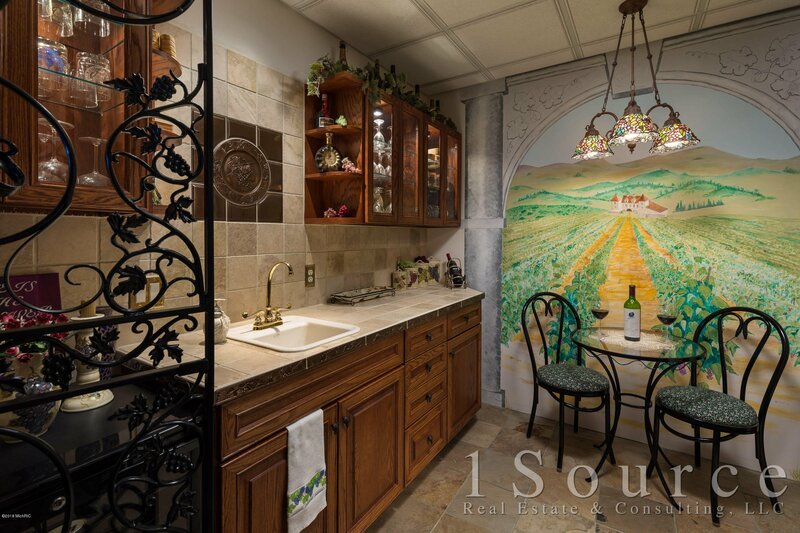 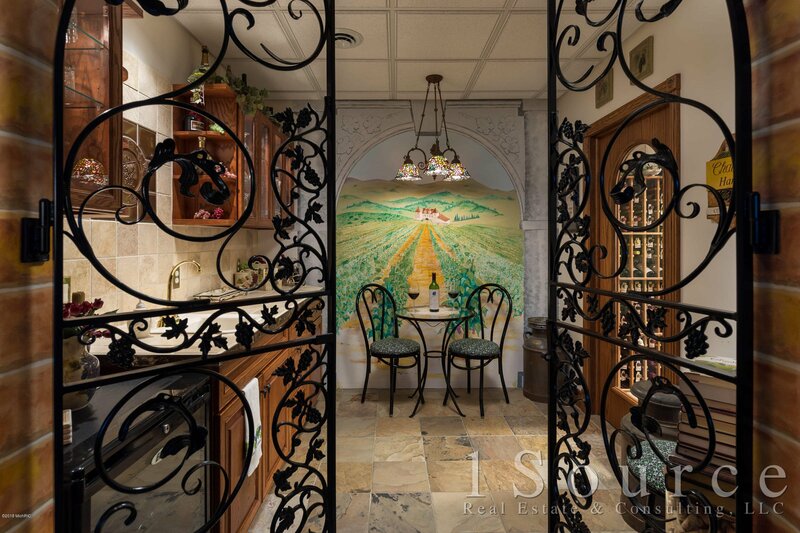 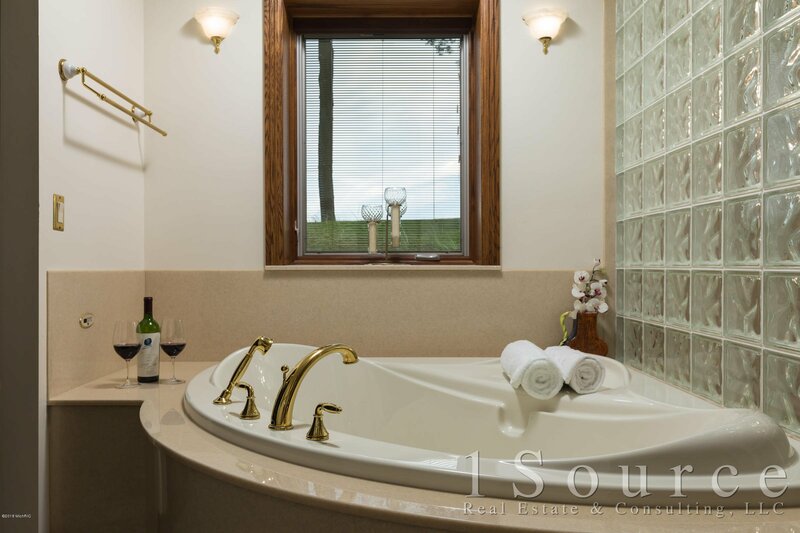 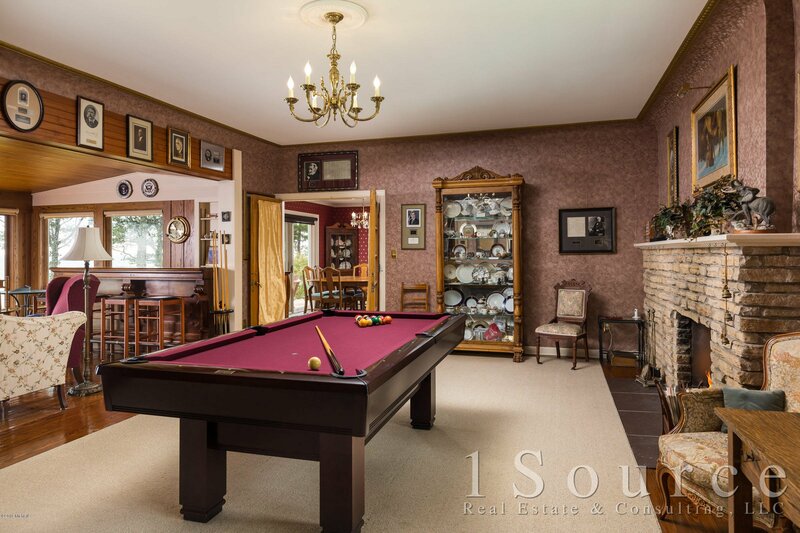 Entertain with ease & privacy in the updated kitchen, 8 Bedrooms, 7 bathrooms & wine cellar. 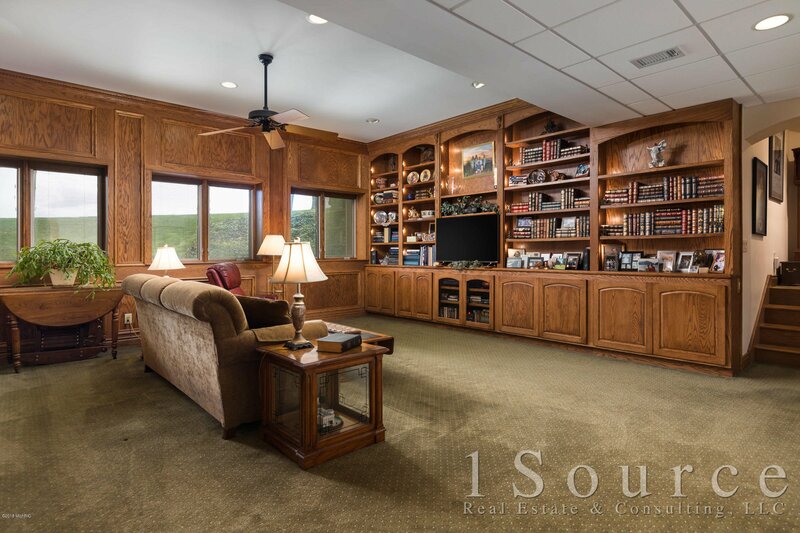 Two master suites, four fireplaces, jetted tubs, 10' lower level ceilings, irrigation system, tons of storage, ... three furnaces & a/c systems, two large water heaters, central vac system for easy cleaning ..... everything you need to live comfortably in this 6200 sq. 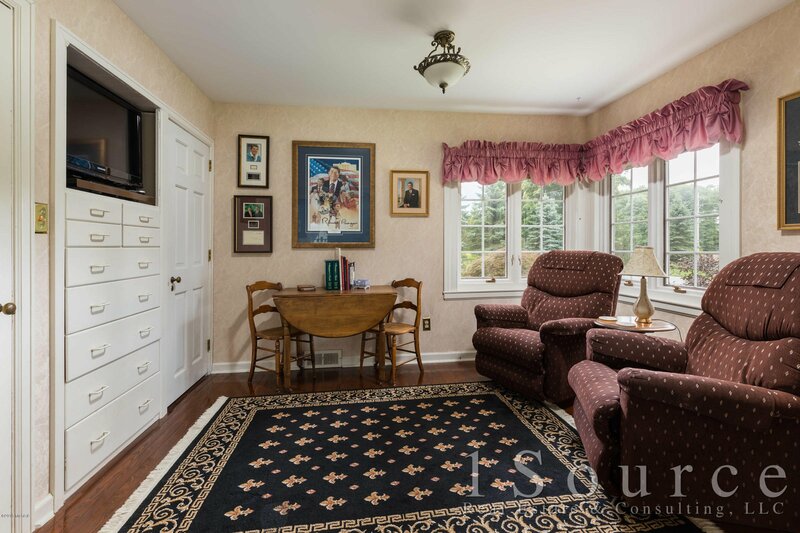 ft home. 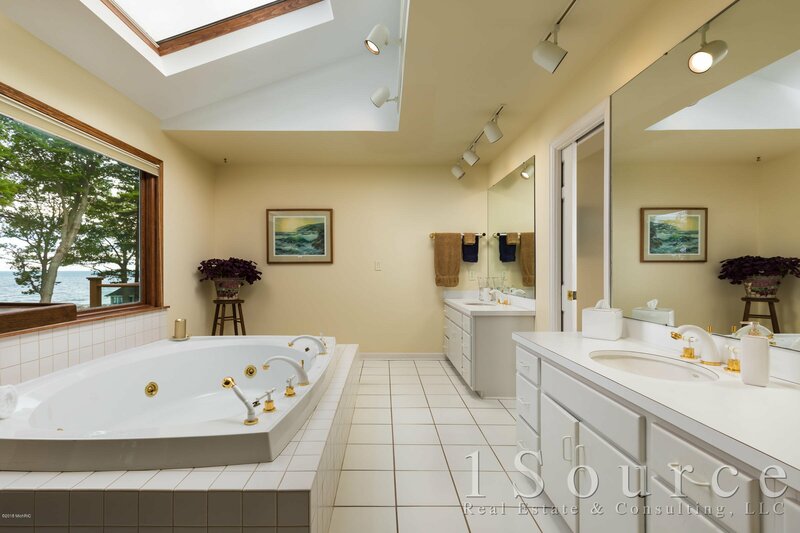 Garage has a loft area with skylights, great for a rec room, storage or future expansion. 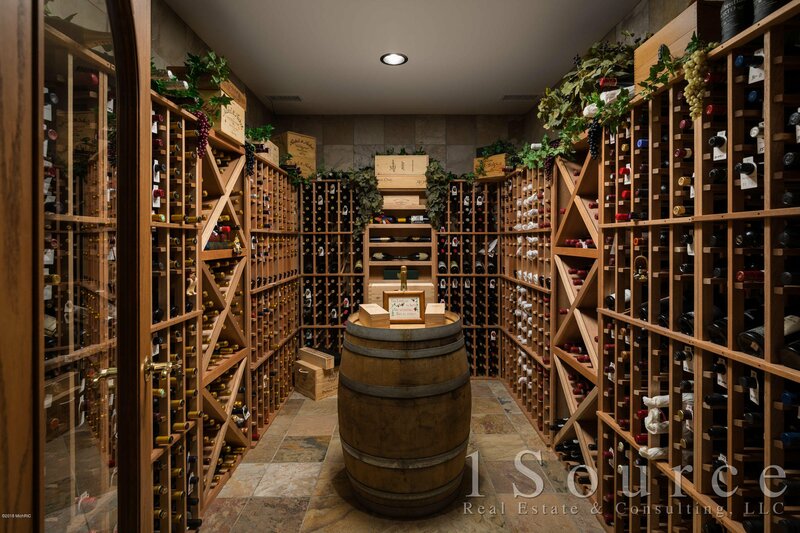 (Please note the wine chiller equipment is not included) Square footage is approximate. 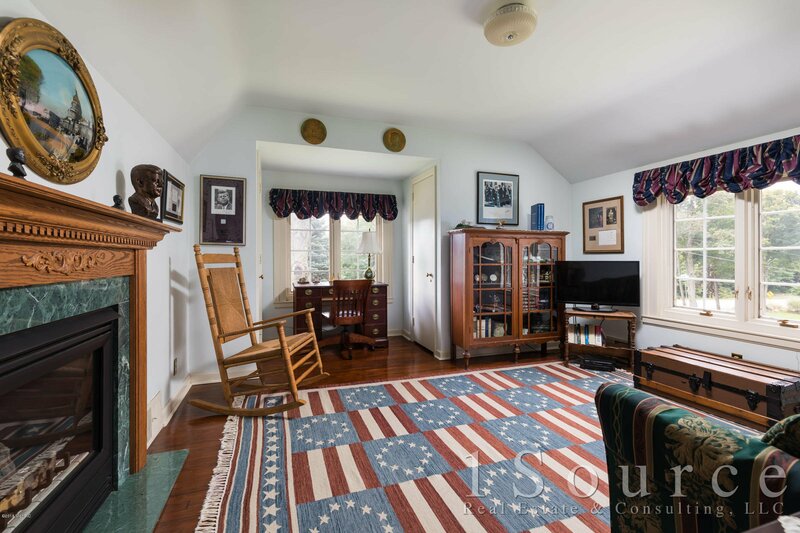 Experience the character, charm & beautiful heritage of this meticulously maintained & updated 1940's home.